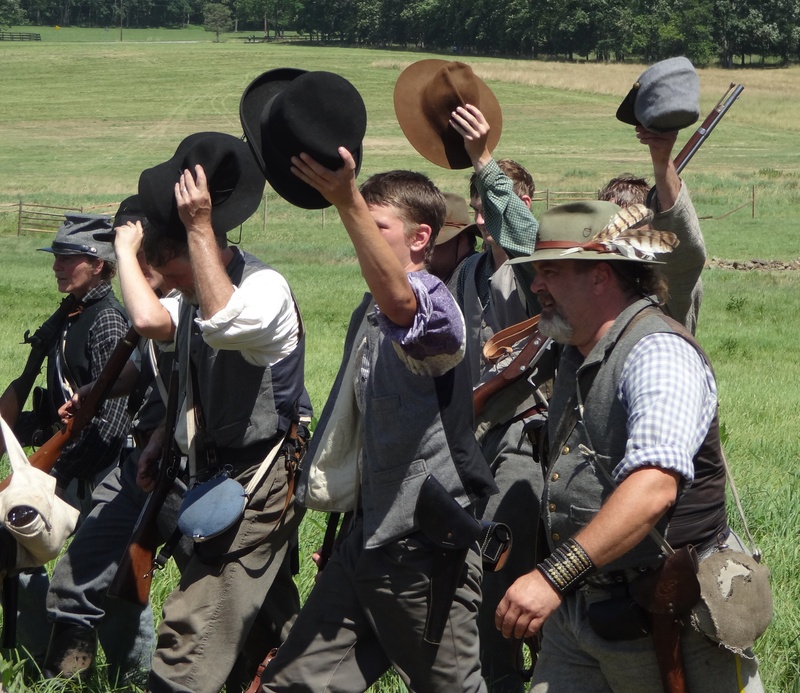 Now that spring is here, Civil War reenactments are starting up around the country. 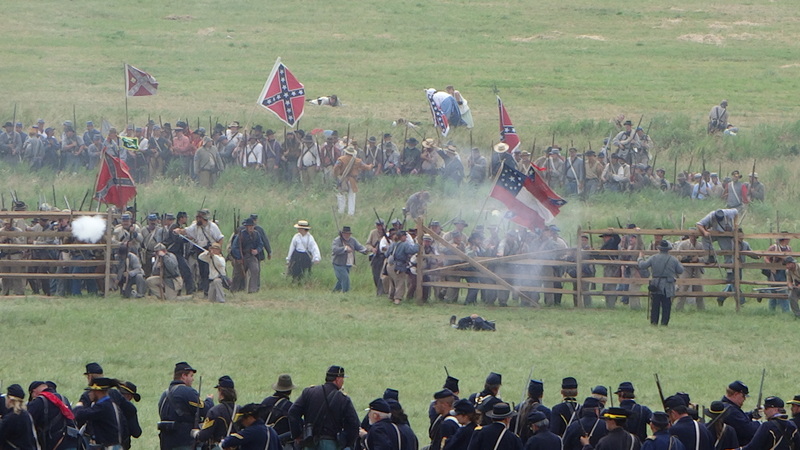 This weekend, the reenactment of the Battle of Gainesville will take place in Alabama. The event will be held May 8-10, and will include a cavalry battle. 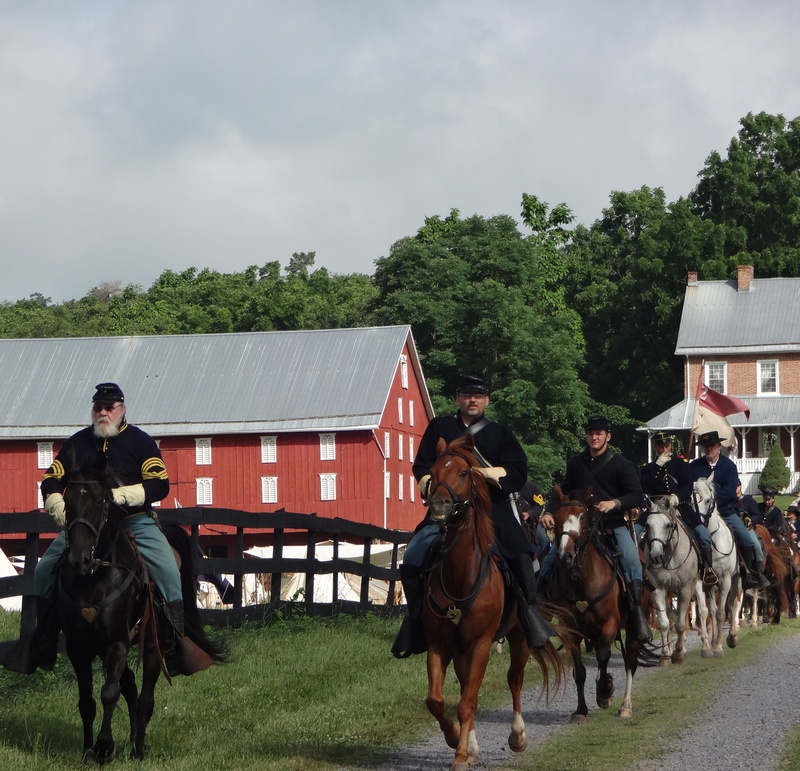 Attending a reenactment is an excellent way to discover living history and see what Civil War soldiers went through. The people who do reenacting take their hobby very seriously, and some even characterize people who actually lived, like their ancestors. Of course, there are reenactors who play the parts of famous generals and other officers, and sometimes, Abraham Lincoln shows up, too. 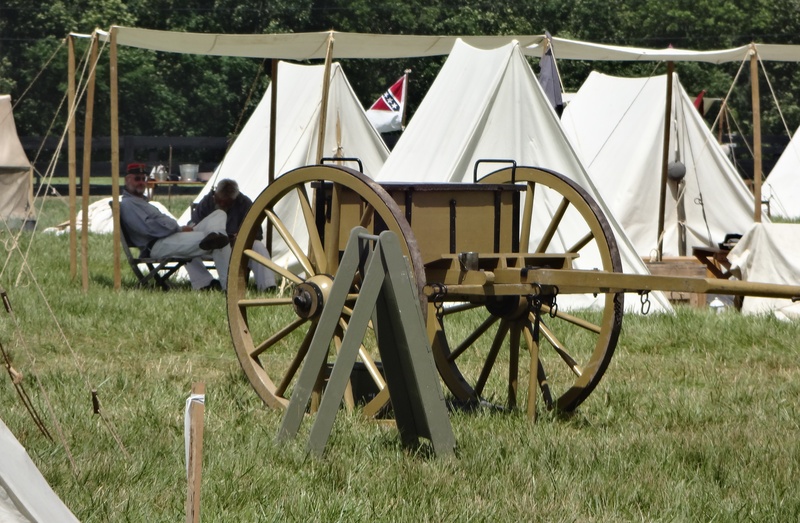 A typical reenactment includes several battles, period dress, rows of sutlers’ (shop owners) tents, weaponry, and Civil War medicine. They also usually include a ball complete with ladies in beautiful gowns, a ladies’ tea, and a period church service on Sunday morning. But the real excitement is in watching the battles themselves. The reenactors make them as believable as possible, and the rumble, boom, crack and smoke of the artillery and gunfire is exhilarating.